Choose from our single and double sea kayaks or sit upon kayaks. 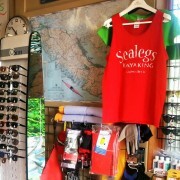 Sealegs rents nearly anything you may require for your Vancouver Island paddling adventure! Sealegs’ rental fleet boats are more than ‘just rental boats’. Our guests and staff treat the fleet with respect. What this means to our guests is safe, clean boats that are desirable for re-sale. Most of our used boats are for sale throughout the year. 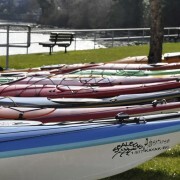 We have a great selection of new and used kayaks, SUP’s, recreational sit-upon kayaks and fish boats. Please give us a call to book your sea trial rental or to come to the beach and look at the possibilities! 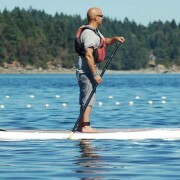 All kayaks and paddle boards are equipped with regulation safety gear.